MOSCOW, February 20. /TASS/. Russian President Vladimir Putin said on Wednesday that the United States should calculate the flight range and velocity of Russia’s cutting-edge weapons before making decisions that may pose threats to Russia. 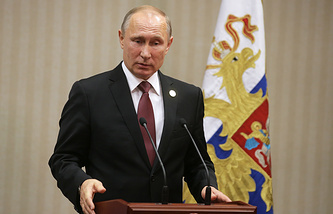 Delivering his annual address to the Federal Assembly, Putin said that "there are a lot of those in the ruling class of the United States, who are obsessed with the idea of their exclusiveness and superiority over the rest of the world." 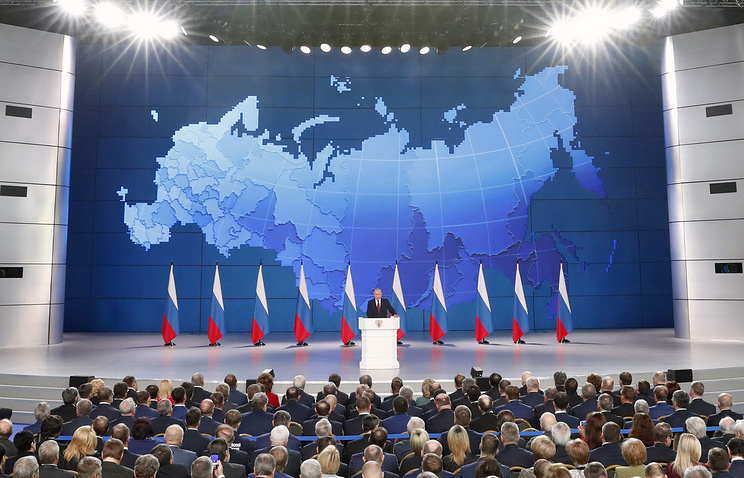 "This is the only thing we ask to do - make the calculations first before passing decisions that may pose additional serious threats to our country and will certainly entail Russia’s counter-measures," Putin said. "We are not interested in confrontation and do not want it, moreover with such global power as the United States," he said. "However, it seems that that our partners take no notice how rapidly the world is changing and where it is heading to. They carry on with their destructive and obviously erroneous policy." The Russian president said that such policy "hardly meets the interests of the United States," adding that "it is not for us to decide."